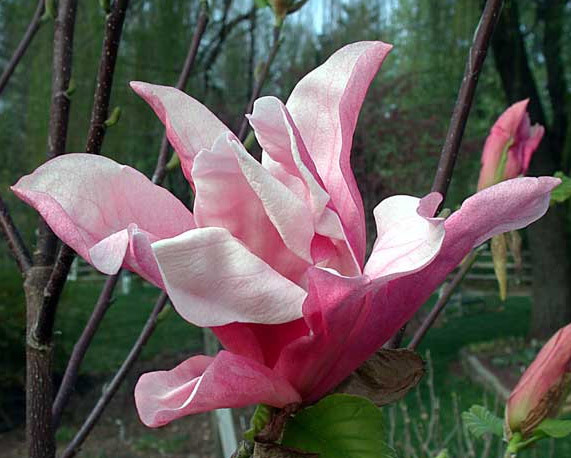 Magnolia Daybreak is one of the better deciduous garden Magnolia to choose from. A neat upright shape with large (around 20-25cm wide) and very fragrant splayed pink rose flowers which appear from an early age around April to May time. Pale green leaves with a wavy edge. Crossed with Magnolia Woodsman and Magnolia Tina Durio. Considered to be UK weather hardy and of a columnar habit. Expect the flowers to show themselves mid to late season although lighter soils could bring them out earlier. Suitable for planting in urban settings as will tolerate pollution. 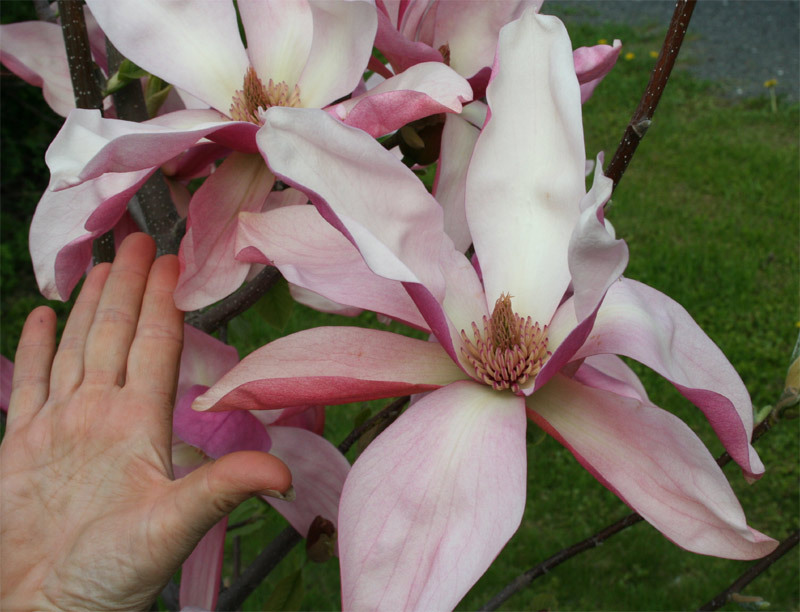 Depending on when in the year you purchase our Magnolia Daybreak, expect delivery heights to be between 120 and 200cm. As you might expect, they get taller as the year goes on depending on the weather! We grow from August to August so any Magnolia Daybreak trees we sell before August will be taller but will be those which are left over from the year before. Those sold shortly after August will be the most vigorous and pick of the crop. Either way, you will get a Magnolia Daybreak that has been expertly looked after and inspected before despatch. A medium sized tree which means you can expect the tree to be around 4-6m tall at 10 years but may go on to grow more depending on local weather and soil conditions. With a columnar shape expect its width to be less than its height. With the Daybreak, you should be looking around 1.5m to 2.5m wide. Do not be standing there for a decade with a tape measure and calendar, we are only giving you approximates here. Magnolia Daybreak will attract wildlife to your garden, by that we mean birds and the bees, not travellers in caravans. Plant in full sun with plenty of shelter for best results and avoid frost pockets. Keep the surround area clear to ensure the Magnolia Daybreak is not competing for resources otherwise it will become leggy. Magnolia Daybreak is clay tolerant although if you happen to supply the local pottery club with your garden excavations, then this might be a step too far. 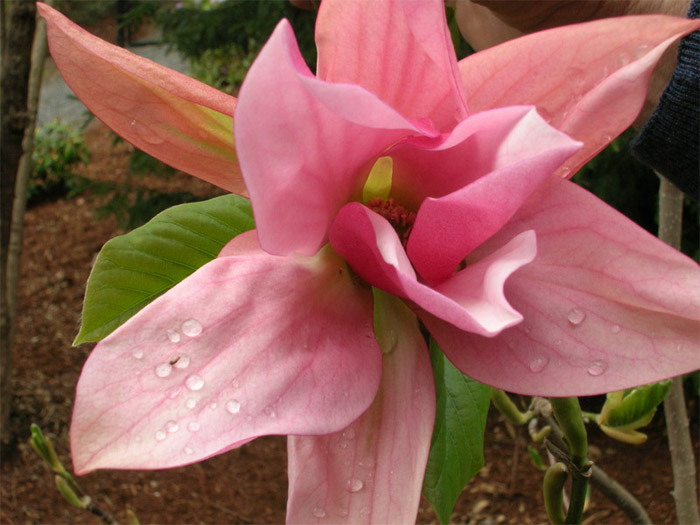 As with many other Magnolia trees, the Daybreak requires a well draining site and will provide better results with frequent watering instead of sporadic drownings. A slightly acidic soil is preferred. Expect better results in a sheltered site (horticultural type, not refugee or homeless!..we don't want you ringing in from a tent city in Iraq, Iran, Syria or other place complaining your tree is not performing as advertised) An occasional thinning will provide new growth the following year. The tree is supplied with the rootball intact in compost which means you can plant these any time of the year.